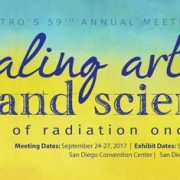 The ASTRO Annual Meeting is the world’s most important meeting for the radiation oncology community, with more than 11,000 people attending each year. The Annual Meeting’s educational program creates a forum for global collaboration on issues in radiation oncology to improve professional practice by increasing their level of knowledge, as required to improve competency and performance in the field of oncology. Attendees can learn about the latest products and services in the field, gain insight into future developments and become engaged through demonstrations and interactive displays throughout the exhibition hall. In 1986, an innovative 2-day postgraduate rheumatology course was started by the Lupus Unit at St Thomas’ Hospital under the leadership of Professor Graham Hughes. The aims of the course were threefold: firstly, to aim high and to bring in the best and most authoritative speakers in their field. Secondly, to concentrate on new advances, especially in lupus and the connective tissue diseases, which at that time were poorly represented in most European meetings. And thirdly, to keep the audience ‘on their toes’ with alternating “Hot Topics”, short clinical vignettes and more “basic” updates. 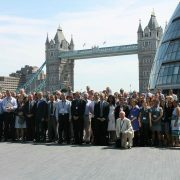 The next Ten Topics meeting will be held at London Bridge, in the superb riverside conference Centre at the Hilton Hotel in London Tower Bridge. In addition to the Lupus Team at St Thomas’ and the London Lupus Centre, there will be a number of national and international speakers from the world of Rheumatology as well as from other fields.